Okay now, this mystery story is most especially for treasure hunters. One common thing about archeologist and treasure hunters is that they also deal with mystery, mysterious things. And if you're in any of the league i just mentioned then you must have heard about Ben Sublett's mysterious mine of Richies. The unique thing about the Ben Sublett treasure is that there is credible, documented evidence from a lot of eye-witnesses that Ben Sublett did indeed have an unknown source of enough gold. The eye-witnesses were interviewed by credible authors and journalists, and extensive documentation exists that the fundamental story is, in fact true. 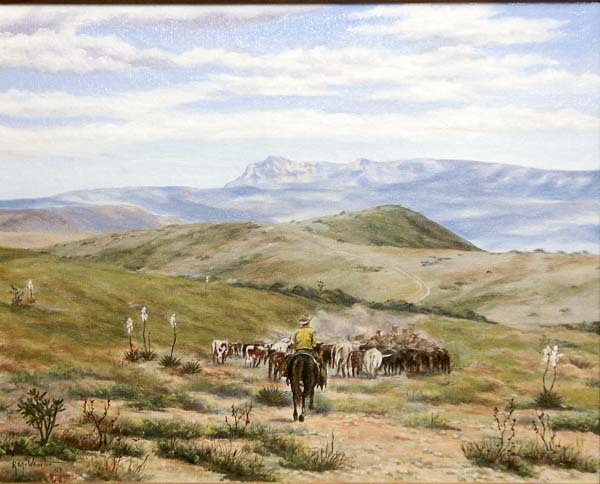 Guadalupe Mountains, in West Texas and Southeastern New Mexico, said to be home to some of the richest gold mines in the world, a fact alleged by the famous Apache Geronimo. Ben Sublett, an old miner who lived during the 19th century, was supposed to have found a vein of gold, one so valuable he could mine $10,000 worth of gold in a week. Unfortunately, the only evidence of his mine is a single hole in the ground. Having a popular reputation for been a liar and a drunk, Sublett came into his local tavern one night, throwing down a handful of nuggets and proclaiming drinks were on him. A number of unsuccessful efforts were made to pry the secret from him, and attempts were made to follow him to his secret mine but they were met with an unfortunate end, most times shot dead by him. Even when Sublett’s young son asked where the gold was located, Sublett told him to find it himself, like his father did. To this day, no one knows where the mine is located, and scientists don’t believe large gold veins are even located in the Guadalupe Mountains. Clearly, no one has actually found the mystery gold mine. But from early journalists who interviewed the people of the early days documented the informations (passed down) about how Sublett lived in richies and spends a lot of money as if he plucks it from trees. Even till this day most modern hunters and archeologist very well believes the mine exists, and its just out there waiting for someone to discover it. So you readers do you also believe the mine exist, do you have more concrete evidence. Let me know in the comments section. Good findings.